Free YouTube to MP3 Converter to download and convert YouTube video. The smart design brings better user experiences. Heard a soundtrack on YouTube you really liked and want to save it off YouTube? 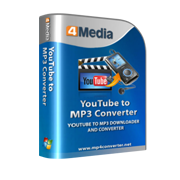 4Media YouTube to MP3 Converter is the FREE software to meet your needs. This handy YouTube to MP3 Converter can download and convert YouTube FLV, MP4, Webm videos to MP3 audio file. 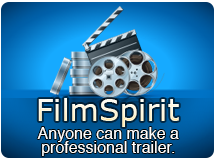 Multiple videos downloading and conversion support would totally save your time and efforts. Download and convert YouTube video to MP3, revolutionize your YouTube experience now with the Xilisoft YouTube to MP3 Converter. It is totally FREE! Download and convert YouTube HD videos, even 1080p HD video to MP3 easily. 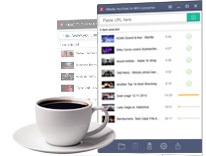 Download and convert YouTube video to MP3 music files in batches. Set preferred video resolutions, preferred formats, audio bitrate; Set max simultaneous downloads and conversions; Set custom download and conversion settings. 4Media YouTube to MP3 Converter comes with interfaces in English, German, French, Japanese, Simplified Chinese and Traditional Chinese.